The Countdown is on! Where Will You Be Celebrating 2019? Need New Year’s Eve plans? Greater Morgantown has you covered! Whether you’re looking for a full-on event with food, drinks and entertainment, or you want to grab the gang and head to a restaurant or bar for the evening, we’ve got a list of the best locations to ring in 2018. Start making your resolutions and plan where you will be celebrating today! A New Year’s Eve Buffet will start at 4:00pm at the Preston County Inn. Be sure to reserve your spot before seats fill up! Cost is $25.95 per person. If you’d like to partake in a four-course dining event, head to the New Year’s Eve Experience at Sargasso where chef’s will be serving a celebratory, one night only menu. There are three seating times for the event (5:00 pm, 7:00 pm, and 9:00 pm.) call ahead to reserve seating! Make reservations for Morgantown Flour and Feed’s New Year’s Eve party as they ring in 2019 with live music by John Posey from 8:00pm until 10:00pm, featuring a New Year’s Eve menu. Call to make reservations today! 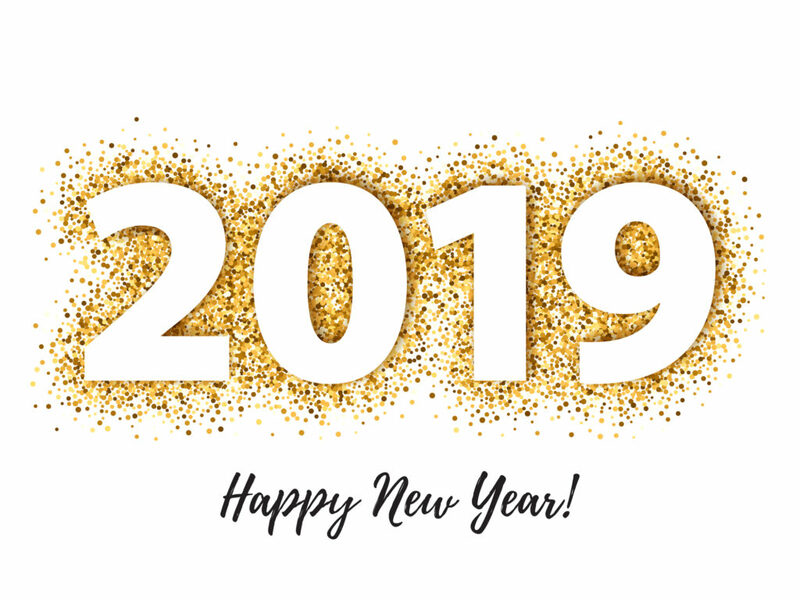 Join Alpine Lake Resort for their 2019 New Year’s Eve Celebration! Shane Masters will be opening at 7:00pm for National Recording Artist Morgan White from 10pm-1am. Join the resort for dinner from 5-8pm with a free Midnight Buffet included with the purchase of the Dance Tickets, plus a champagne toast at midnight! Tickets range in price from $60 – $175. Head to Tropics Restaurant and Bar for their New Year’s Eve party starting at 9:00pm. Cost is $20, which includes hors d’oeuvres and a champagne toast. 123 Pleasant Street is also hosting New Year’s Eve fun! Come out to listen to several bands for a $10 cover. Doors open at 8:00pm and music starts at 9:00pm, with a champagne toast at midnight! If you’re into music, and a fan of Trial by Fire, head to Morgantown Brewing Company at 9:00pm. Come early to get a seat and a bite to eat! You can also head to Morgantown Elks Lodge 411 for their New Year’s Eve Bash to hear The Classics who will play from 9:00pm until 1:00am. Tickets at $30 in advance and $35 at the door. Head to The Frosted Mug to hear the band Train Wreck this New Year’s Eve from 9:30pm until 1:30am. Check out the New Year’s Groovin’ Eve at Almost Heaven Bar and Grill! Doors open at 4:00pm and there will be live music from 9:00pm until midnight, with DJ Lucky D at midnight. Cost is $30 for individuals and $50 for couples in advanced and $60 at the door. Call today! Love Bluegrass? Head to McClafferty’s Irish Pub this New Year’s Eve to hear Jakobs Ferry Stragglers from 10:00pm until 1:00am. Have a Cosmic Rockin’ Eve at Suburban Lanes with music, food and a champagne toast. Come out for early bowling for $50 or late night bowling for $225 per lane. Prices include a snack food party tray, unlimited bowling & shoe rentals for each bowler & a champagne toast at midnight! (Lanes for the early shift must be paid in full one week prior to New Year’s Eve.) Call to get a lane today! Speaking of rockin’, rock out in Preston County! Head to the Kingwood VFW to hear Rock Inc performing from 9:00pm until 2:00am. Come out for the Annual Masquerade Party at Crab Shack Caribba in Suncrest. Special dinner menu and full regular menu at dinner service from 4:00pm until 10:00pm. The party starts at 9:00pm with DJ Sean Nice Sean Harris, along with hor d’ouvres, a champagne toast and a cash prize to the best mask! More details here! Join Mountain State Brewing Company as they host the New Years Eve Crafts and Laughs Benefit featuring improv comedy by The Fearless Fools. There will be craft beer, a pizza and appetizer buffet with some of Mountain State’s most popular (and delicious) food, cupcakes from The Cupcakerie, raffles for themed baskets and a champagne toast to ring in 2019. Come out and have fun all while supporting a good cause! Check out our Mountaineer Deal locations so you can save while you dine, too! If you’re still in need of a hotel in Morgantown for New Year’s Eve, use our booking tool below to make your reservation today! Show us how you’re ringing in 2019 by using #TourMorgantown or #MorgantownMoment and we may share your photo! Have a happy New Year!